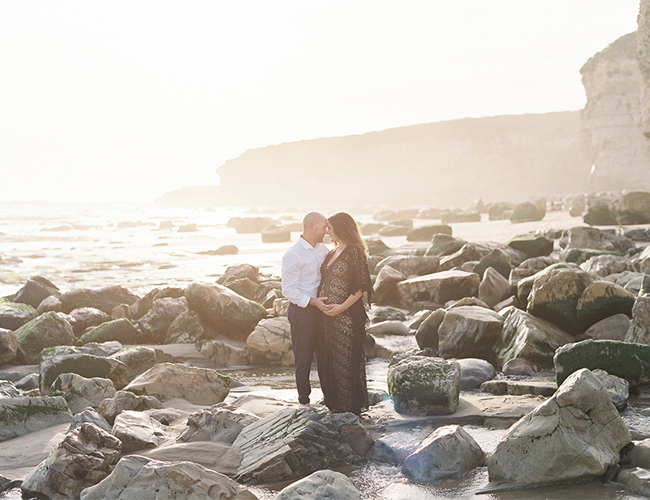 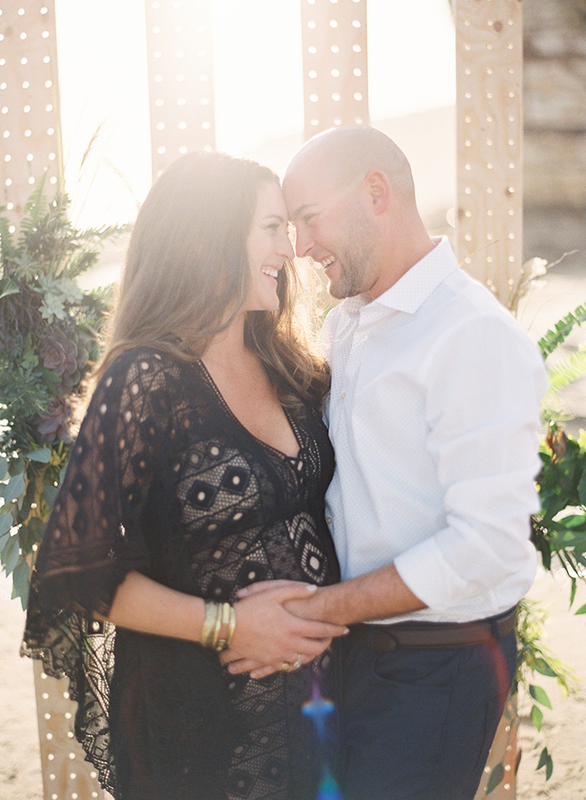 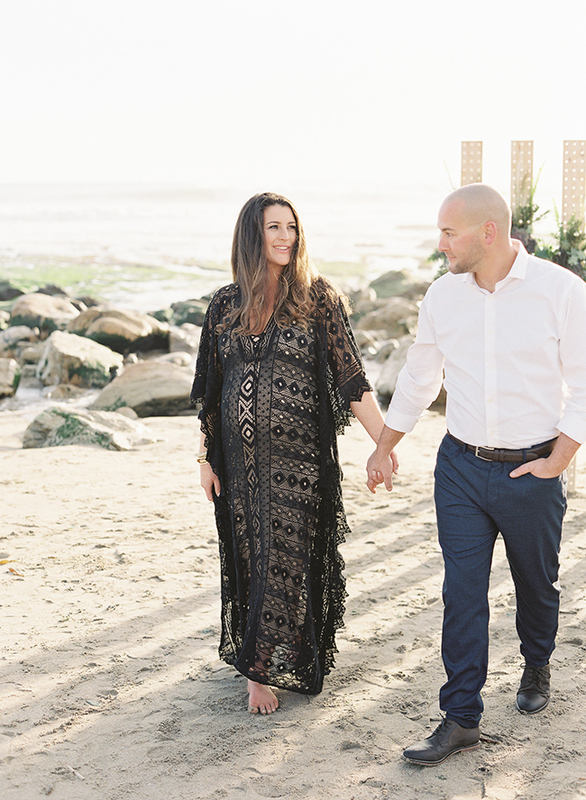 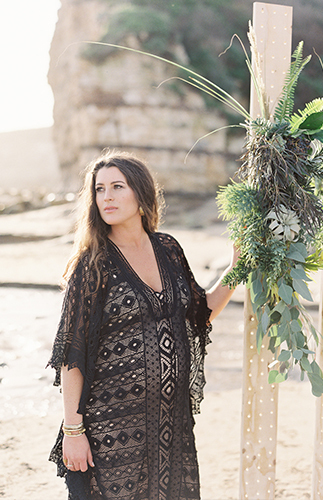 Photographer Carlie Statsky says, This lovely mama-to-be, Darcy, is the co-owner of Seascape Flowers so she wanted to create something special for her Santa Cruz maternity session. 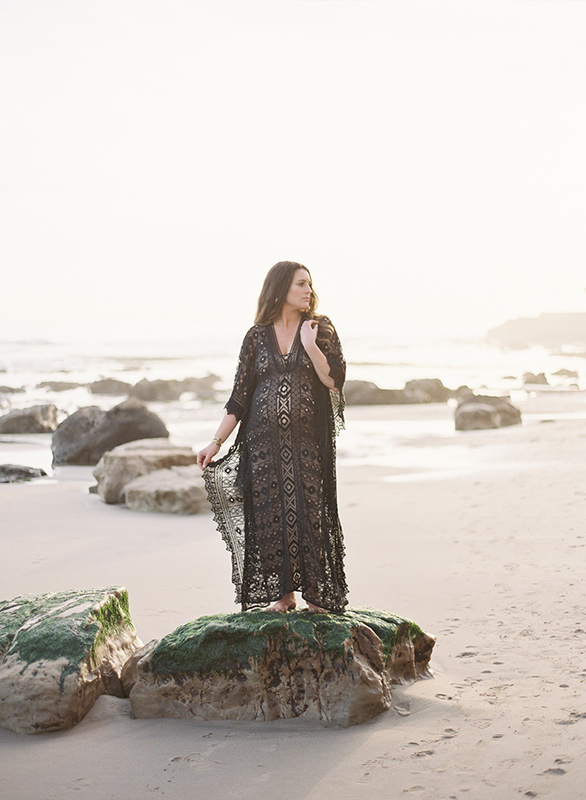 So, we headed out to 4 Mile Beach to do her maternity session together with her husband Ken and a talented team of vendors. 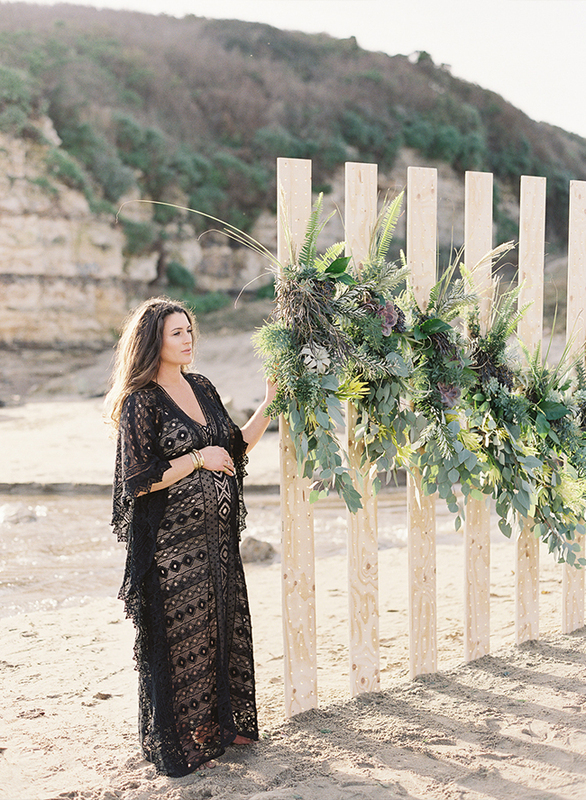 Eileen from E Events Co did an amazing job designing the whole shoot with the boho luxe kind of vibe that Darcy was dreaming of. 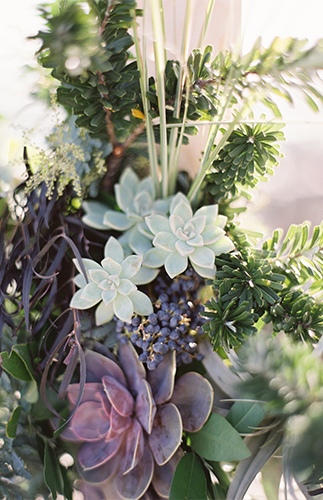 Eileen was inspired by the ombré succulent walls seen at DIG Gardens here in Santa Cruz. 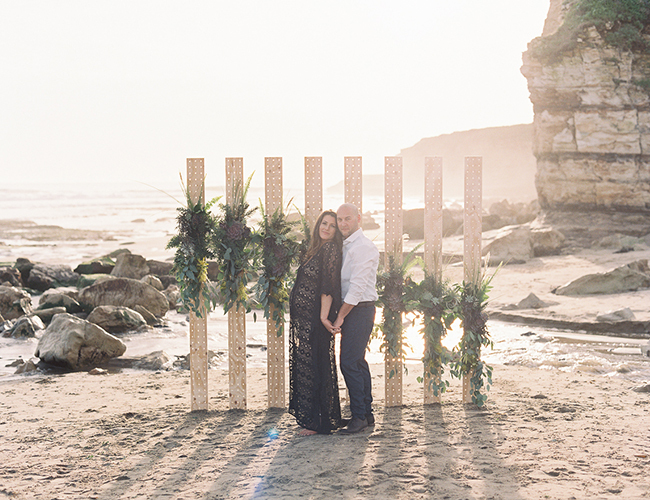 So, we asked my husband Gabe, of Statsky Design, to construct a wooden structure full of holes. 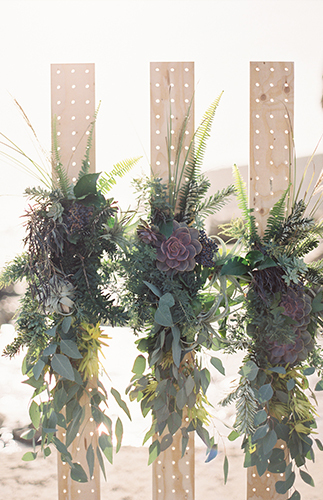 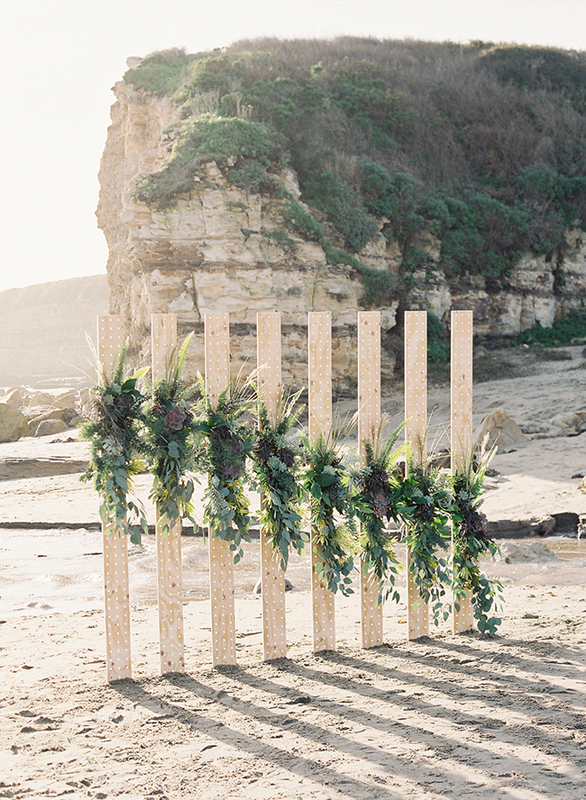 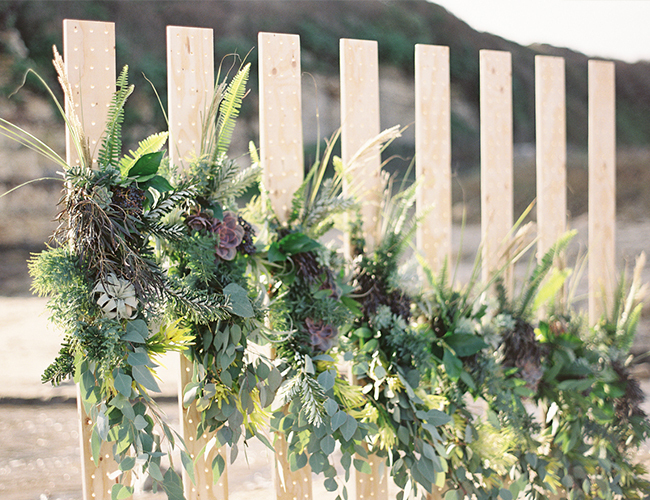 Then Seascape Flowers could adorn it with layers of greenery and succulents that would create an ombre effect. 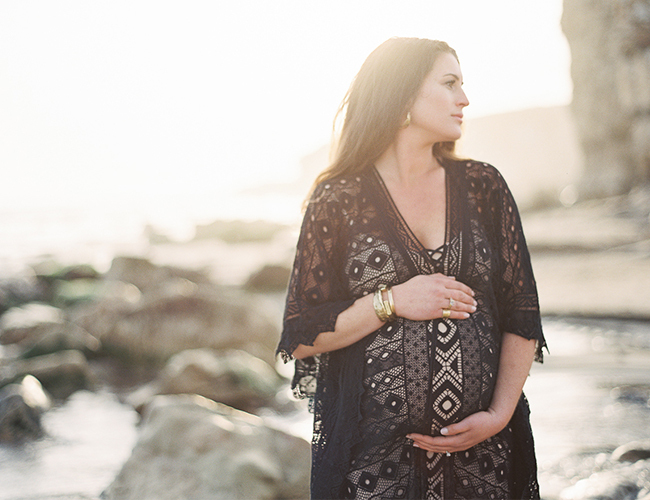 I love how the whole shoot pays homage to nature and growth; so fitting to highlight a beautiful belly growing a new life inside! 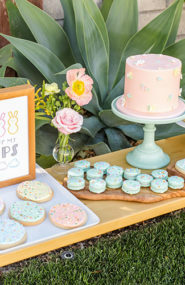 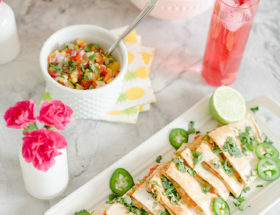 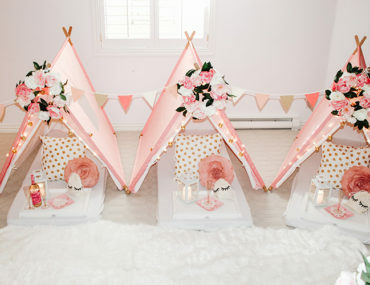 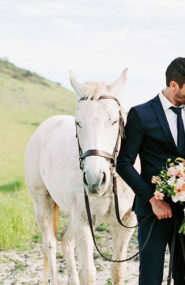 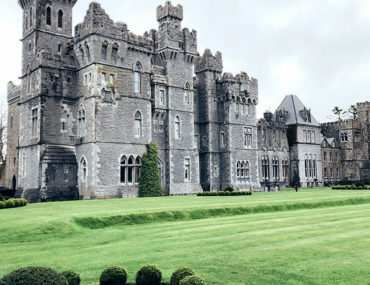 Planning, Design: E Events Co.
her style is so good! 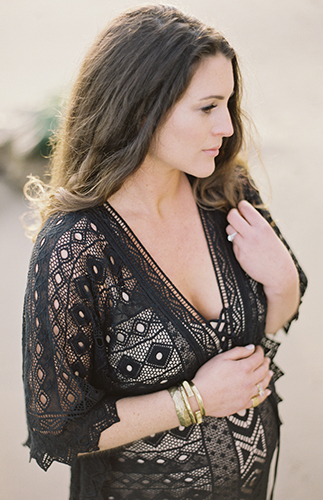 That black dress is gorg!